Because we have bodies, there is an inescapable idiosyncratic element to the celebration of the Divine Liturgy. No matter how faithfully I strive to “Say the Black” and “Do the Red,” my saying and doing will reflect something of my own, physical and temperamental, individuality. Yes, with time, I can minimize how much of my individuality “leaks” through. But “as long as I am in this tent” (2 Peter 1:13, NKJV), there will be small variations in how I celebrate Liturgy that reflect something of my own personality, character, biography, and physiology. Being at peace with a degree of inescapable variation in how the Liturgy is celebrated, however, is different from the attempt to shape Liturgy according to the personality of the priest or the ethos of the community in which it is celebrated. This latter situation is more than just a concern for a formal integrity of the rubrics. It runs contrary to the deeper, anthropological, meaning of liturgy. It is a problem, in other words, that effects our spiritual formation. Ronald Grimes in his work Beginning in Ritual Studies offers us a view of liturgy drawn not from Christian theology but from the human science of anthropology. He would the word liturgy for “any ritual action with an ultimate frame of reference and the doing of which is understood to be of cosmic necessity” (p. 45). While this definition is not in itself theologically sufficient, it certainly captures something of the Orthodox understanding of the Divine Liturgy. 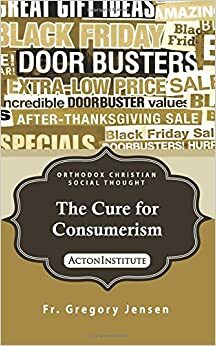 So too does Grimes’s observation that liturgy’s power is “not the force of labor” or as “a way of achieving results.” No the power of liturgy (and of the Divine Liturgy) is that it is “a mode of tapping the way (tao) things flow or [of] connecting with the order and reason (logos) that things manifest.” Above all, it is in and through liturgy, that we can come “to rest in the heart of the cosmos. Liturgy is how a people becomes attuned to the way things are— the way they really are, not the way they appear to be” (p. 45). This last point—of becoming “attuned to the way things are”—is important when considering the spirituality of the priest as the celebrant of the Eucharist and for the spiritual formation of all members of the Church. As I said above, as a bodily creature there will always be something unique in how as a priest I celebrate the Divine Liturgy. The timbre of my voice, how I move, the pace I set, all of these will necessarily reflect my individuality. While I may over time become better able to gracefully submerge my own personality and allow it to become the servant of the Liturgy in much the same way as the music serves the text of the service, there will always be limits. There will always be something idiosyncratic to how the priest celebrates Liturgy for another reason. IWhen we “gather as the Church” (compare, 1 Corinthians 14:26) we are striving to do something which is always beyond us. Again, Grimes is helpful here. In liturgical rites people try to learn to walk on the ground of their being, to walk, as Lakotas say, “in a sacred manner.” In such an effort it is easy to overstep oneself, and as a result there is always something inherently clumsy about the liturgical stride. For this reason, ritualists humble themselves and apologize by confessions of sin, cleansings, sweats, baptisms, and incensations (p. 45). Even with the greatest care and attention, I will inevitably fall short of the mystery at the heart of the Divine Liturgy. And so, as Grimes points out, my celebration—from the perspective of the angels if you will—will always be clumsy. This requires from me not only humility and repentance but also a radical acceptance of the limits imposed upon me by my body and my ontological status as a creature. Whether we are talking about it from the perspective of secular anthropology or Christian theology, liturgy is “a symbolic action in which a deep receptivity … is cultivated.” Holy Communion, after all, is received not taken. This means that in liturgy what we do is “actively await what gives itself and what is beyond [our] command.” Ultimately, “liturgy is a structured waiting upon an influx of whole-making (holy) power, it is inescapably a spiritual exercise” (p. 45). In this process of active waiting and gracious sanctification of bread and wine, men and women, and the Christian community, what is unique to each of us becomes the means by which divine grace is communicated. Or to put it slightly differently, in the Divine Liturgy what is merely individual becomes a unique express of what is universal; the temporal communicates the Eternal and the created becomes the sacrament of the Uncreated. This transformation requires from me a “deep receptivity” (p. 46) that is really contrary to any even well-meaning attempt to shape the Liturgy according to my own personality or the character of the community. Such shaping, again even if well meant, runs contrary to what Grimes calls the “‘interrogative'” mood” intrinsic to the liturgy. The interrogative nature of liturgy requires that the celebrant “waits ‘in passive voice,'” as the servant of liturgy’s revelation “of the way things ultimately are” (p. 45). Yes, the personality of the priest, the ethos of the community does have a role to play in this process. But liturgy challenges the priest and the community to self-reflection. Are we who our liturgical actions say we are? And, as we saw above, that answer is always “no.” I always fall short of who my liturgical actions say that I am. The spiritual problem of intentionally shaping the celebration of the liturgy to be more personally or communally meaningful is that, in doing so, I subvert liturgy’s power to challenge me to engage in a deep form of self-reflection. It trades the thankful reception of what its ultimate and lasting for what is merely immediate and transitory. The betray of the ultimate, however, is not limited to the intentionally idiosyncratic celebration of the Liturgy. It can also take the form of a rigid adherence to the form at the expense of substance. Put another way, saying the red and doing the black can also be a way of undermining the formative potential of the liturgy. We’ll look at this in the next post.